I am trying to put the frame grabber PCIe 1477 into operation under Labview Realtime (Desktop PC). Unfortunately the card is neither displayed in the MAX nor in the project. As an alternative the frame grabber PCIe 1473r LX110 would be conceivable. Has anyone ever worked with such a frame grabber under Labview Realtime? Or does anyone know what to consider to make the frame grabber work with Labview Realtime ??? The usual reason files are missing from that menu is if you don't have LabVIEW FPGA installed, or if you installed a new software package and didn't re-install the drivers (vision acquisition, rio, etc). I've only ever used the flexrio-based cameralink card but I think the driver is slightly different. The FPGA tool is also available. The frame grabber runs on the same PC under Windows 7 (other hard disk). Does anyone have an idea why the frame grabber is not recognized in realtime? Does anyone have an idea what you need for the framegrabber to work under LabVIEW Realtime? Has anyone ever made one of the two framegrabbers work under LabVIEW Realtime? it's a shame that nobody has had any practical experience with the frame grabber under LabVIEW REaltime (Phalab). work under LabVIEW Realtime (Pharlab)? "The NI PCIe-1473R Frame Grabber contains a reconfigurable FPGA in the image path enabling on-board image processing. This means that the full communication between the camera and the frame grabber goes through the FPGA. It is then a major difference comparing to the other standard frame grabber without FPGA. "It means also that the camera will not shows up in Measurement & Automation Explorer." The frame grabbers PCIe 1477 and PCIe 1473r work under my Windows System. I had the frame grabber PCIe 1473r on loan from NI and can't test it under Labview Realtieme anymore. The frame grabber PCIe 1477 does not work with Labview Realtime on my System. the frame grabbers should work under Labview Realtime. Do you see it that way? The statement of NI (Munich) is now (after the purchase) that the frame grabber PCIe 1477 should not work under Labview Realtime. I also had the impression that NI was not really interested in solving the problem. For those, Labview Realtime is an obsolete product. The question to NI (Munich) whether the frame grabber PCIe 1473r works under Labview Realtime has not been answered until today. Too bad that nobody else made experience with the frame grabbers under Labview Realtime. Unfortunately, the card probably does not work directly in LabVIEW Realtime. NI's specifications and documentation are often vague with hidden gotchas. I had a similar problem with an NI-serial card years ago when Real-time and FPGA first debuted. I wanted to use the serial card directly in LabVIEW real-time with VISA, but I ended up having to code a serial FPGA program on the card because VISA did not recognize it as a serial port early on. Is there anyway you can try to compile the FPGA example and download it to the card? After you compile and download the FPGA code to the 1477, I think you would have to move "PCIe-1477 Getting Started\Getting Started (Host).vi" from windows target to the Real-time target, open it up and see if it can be run. It can't be that the specification says that the frame grabber is supported and then it doesn't work. I can't afford such a procedure with my products. I could also imagine a different solution approach, e.g. with an additional extension. …. There are certainly many other providers here. The Framegrabber works under Windows. No Labview Realtime would be necessary anymore and the associated expensive licenses and development extensions. I guess I would need to know about your requirements, but I think that would be a road less traveled. Do you need base, medium, full or extended full? do you need power over camera link? etc. Why do you need real-time? In the future I would recommend talking with Robert Eastland and purchasing all your vision related hardware /software from Graftek. He has been extremely helpful with me in the past and knows his stuff. I have no affiliation with the company. Did you try my suggestion to compile the example FPGA code and move the host example to the real-time target to see if its even a possibility? There is currently no 100% definition of the requirements. This is all in a state of flux. Full or Extended Full is required. Power over CL is not mandatory. I need real-time for communication with the 5 most common fieldbus Systems. 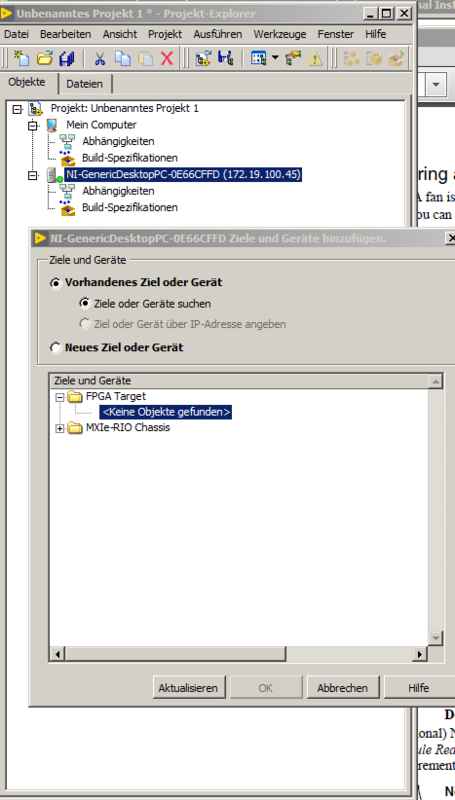 I didn't understand your suggestion to transfer the FPGA code to the frame grabber under Windows and then use it under RT. How should the communication under Labview Realtime with the frame grabber work if the frame grabber is not recognized under RT? Open the Host VI (now in the realtime target) and reconfigure the Open FGPA reference to point to the new compiled FPGA VI. Similarly I tried to integrate the framegrabber under RT. Since the framegrabber is not found there is no RIO reference. I don't know how this works. A direct image processing is absolutely necessary. And also the data exchange of the results with the fieldbus. The question (which I cannot answer yet) is whether you need an FPGA or can implement it with CUDA. Since I already have experience with FPGA, I chose this solution. I have no experience with CUDA. If I would use CUDA then Windows is mandatory. I don't think CUDA works on RT. The advantage with CUDA would be that you don't need the expensive FPGA frame grabber. Please also note that your quote of NI-IMAQ I/O is probably making you bark up the wrong tree already. 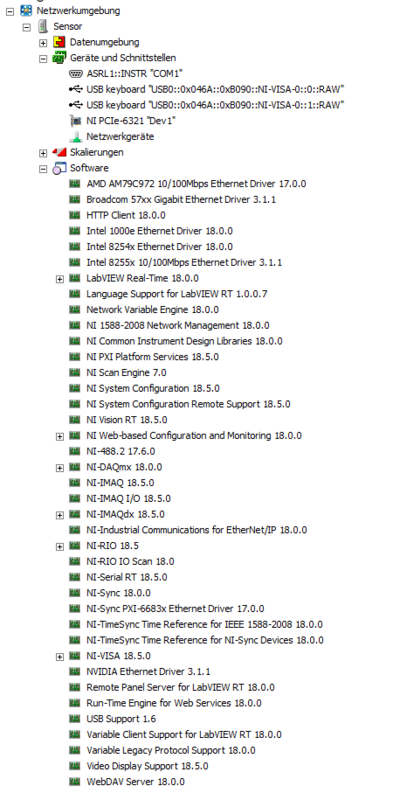 This is just the software driver needed to access the I/O on the supported IMAQ cards. If you program the FPGA on those boards yourself you can define your own RT Fifo etc communication method between the FPGA and RT parts. What you try to do however is accessing the camera part as an image aqcuisition device from within real-time which would require support from NI-IMAQdx instead, a completely different type of software driver than NI-IMAQ I/O. (Yes I agree that NI hasn't always been very great in naming their driver architectures in a clear and concise way). I haven't used any of those frame grabber boards but I believe if you want to use them from realtime you would have to treat them as their own FPGA target and develop some FPGA software on it to communicate through some RT FIFO or similar between your frame grabber implementation and your realtime target. The FPGA programming of the camera grabber interface is possible and has been done by several people on here or the NI forum, but is far from trivial. thank you for your message. I don't know if I understood it right. The software should be developed under Windows. The program created in this way runs independently on the FPGA and communicates via RT FIFO with RT? If I understood that correctly. Is there an example or a forum post where this is discussed?